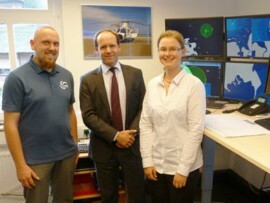 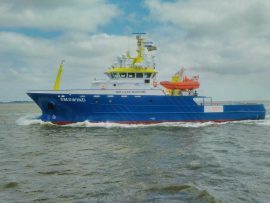 EMS Maritime Offshore (EMO) has secured a contract to operate a new heliport in the Port of Eemshaven, the Netherlands. 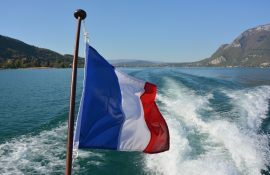 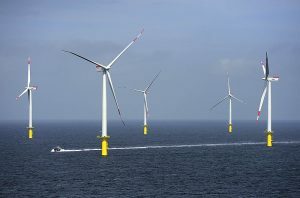 Representatives from six French coastal regions and the industry have severely criticised France’s offshore wind targets set out in the new multiannual energy programme, describing them as a ”disaster” and ”the worst-case scenario”. 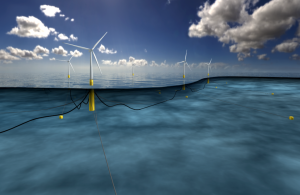 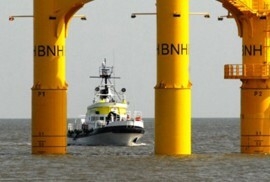 How to Commercialise Floating Offshore Wind? 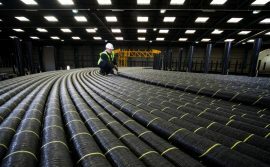 Prysmian Group has secured inter-array cable contracts worth over EUR 220 million for three offshore wind farms in France. 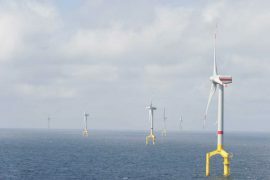 Germany’s total offshore wind yield amounted to 9.04 terawatt hours (TWh) in the first half of 2018, of which TenneT transferred 8.17 TWh from the North Sea wind farms to the mainland and 50Hertz transmitted the remaining 0.87 TWh from the Baltic Sea. 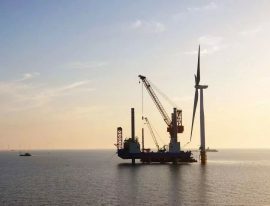 EMS Maritime Offshore (EMO) has completed its second base in Eemshaven, the Netherlands, which will be used as the service base for the Merkur offshore wind farm. 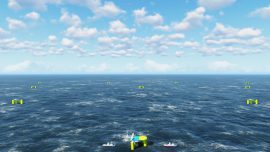 The Offshore Renewable Energy (ORE) Catapult is coordinating a study on the psychological and physiological well-being of crew being transited to offshore wind farms in choppy waters. 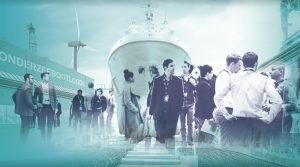 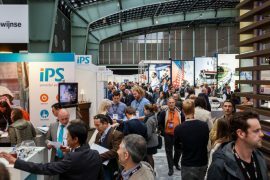 Offshore wind will play an important role during the twelfth edition of the Maritime & Offshore Career Event (MOCE) on the 28th of March at WTC Rotterdam. 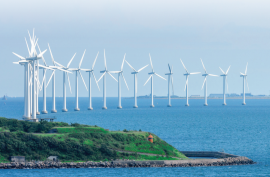 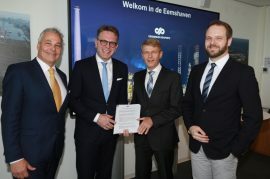 TUV Rheinland and the Taiwan Wind Turbine Industry Association have hosted an offshore wind power forum, discussing topics such as offshore wind power life-cycle risk management and analysis, international wind power standards, underwater infrastructure certification, as well as implementation and planning of offshore wind power industrial localisation in Taiwan. 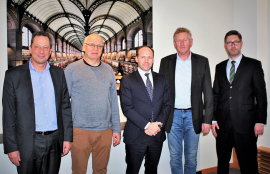 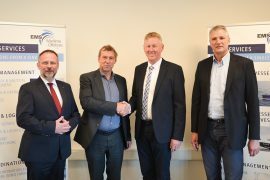 Buss Offshore Solutions will become a new shareholder of the offshore wind service company WINDEA Offshore on 1 January 2018, after the two companies recently reached an agreement on the details of the transaction and signed the relevant contracts. 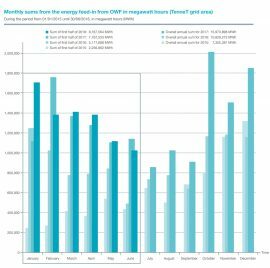 We are slowly approaching the end of the year. 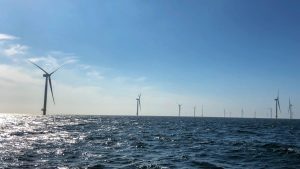 A good moment to look back at the developments of last year and look forward to 2018. 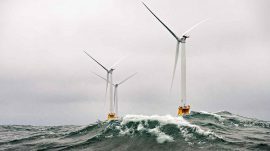 2017 was a turbulent year for the maritime, offshore and energy sector in Holland and beyond, and will keep posing challenges in 2018. 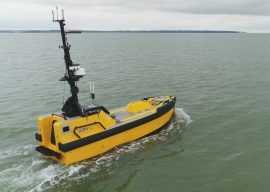 Precisely because of these developments, it will be even more important for the industry to ensure that technical and nautical expertise remains in this sector.